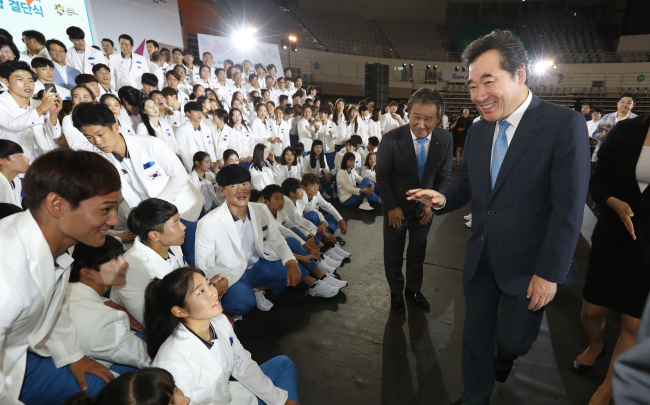 Prime Minister Lee Nak-yon will make a three-day visit to Indonesia starting this weekend to attend the Asian Games and hold meetings with top officials of the Southeast Asian nation, his office said Monday. Lee will also attend a women’s basketball match Monday to root for the unified Korean team of athletes from South and North Korea. Other events he’s scheduled to hold while in Indonesia include a visit to the athletes’ village and a meeting with Korean businessmen staying in the country. During the meeting with the Indonesian president, Lee plans to congratulate the country on its hosting of the Asian Games and discuss ways to further deepen and expand the “special strategic cooperative partnership” between the two countries, officials said.